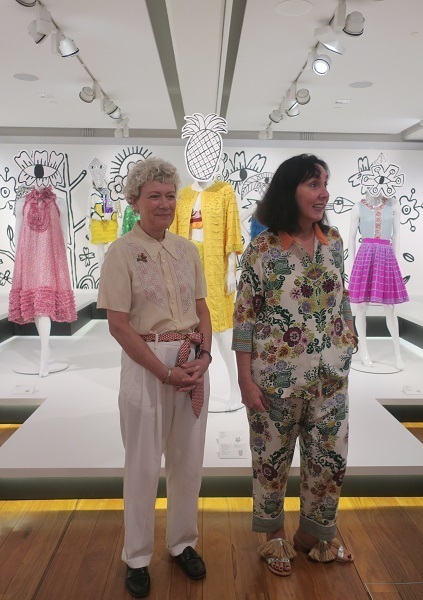 Museum of Brisbane's major summer exhibition is designed to inspire, The Designers' Guide: Easton Pearson Archive.features over 200 garments selected in collaboration with designers Pamela Easton and Lydia Pearson from their eponymous label. 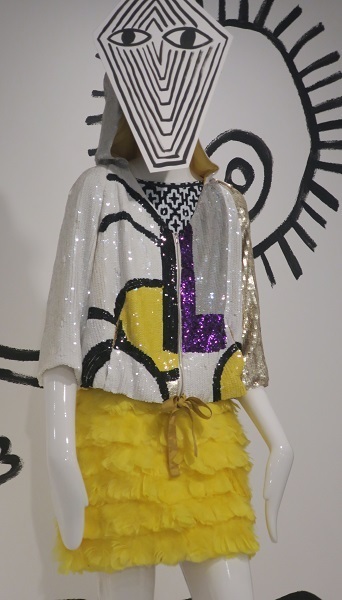 The exhibition reveals the artistry, techniques and couture practices that put this iconic Brisbane label at the forefront of Queensland and Australian fashion from 1989 – 2016. 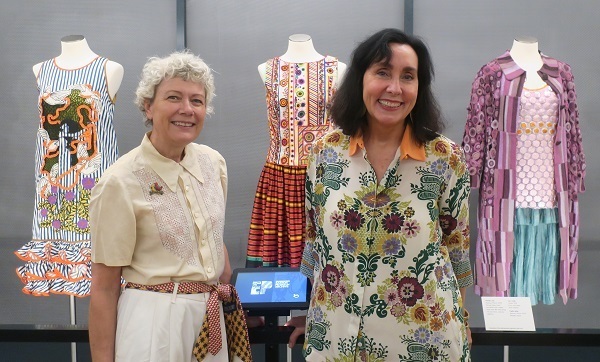 The MoB curatorial team said that they enjoyed an amazing journey preparing for this exhibition, working closely with Pam and Lydia, as well as textile conservators, fashion consultants and artists to explore the artistry and innovation of Easton Pearson. 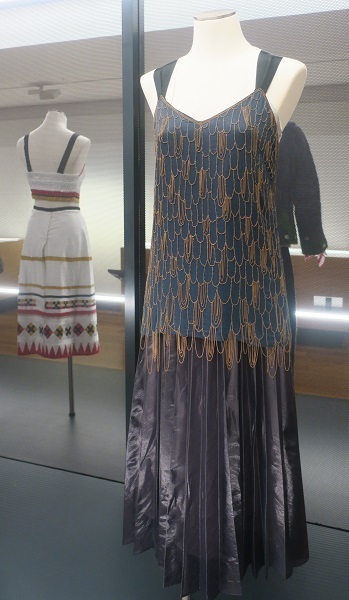 Go along and explore the impact of the internationally-acclaimed fashion house on Australian fashion history. The featured garments were all individually technically and creatively ground-breaking. 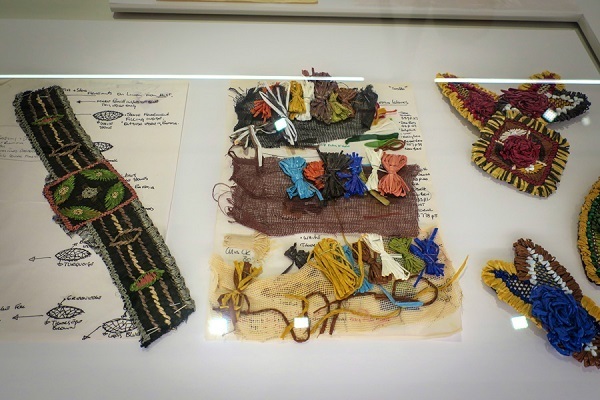 Louise McCullagh, is the talented textile conservator who worked with MoB for the exhibition. E&P played at the forefront of slow fashion and ethical manufacture, working closely with artists, artisans and workshops in India and Vietnam to ensure good conditions, fair pay and respectful collaborations. 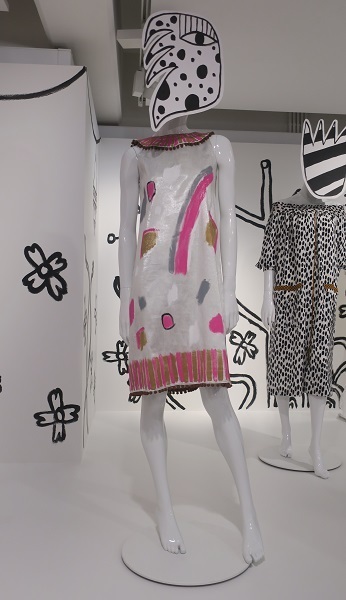 The Museum is home to the Easton Pearson Archive which, comprises more than 3,300 garments and more than 5,000 objects, accessories and ephemera, is the largest collection from a single Australian fashion house held by a public art gallery or museum. Sallyanne Atkinson, Chair of MoB, said, "From their base in Brisbane, Easton Pearson took their unique designs to the world, showing in Paris from 1997 and stocked by Browns in London, New York's Bergdof Goodman, L'Eclaireur in Paris, Joyce in Hong Kong and David Jones across Australia, as well as Japan, Italy and the Middle East at the brand's height,"
Through their bright, boldly-patterned and eclectically embellished designs, they invited women across the globe to enjoy our beautiful Brisbane lifestyle and developed a cult following that continues today. 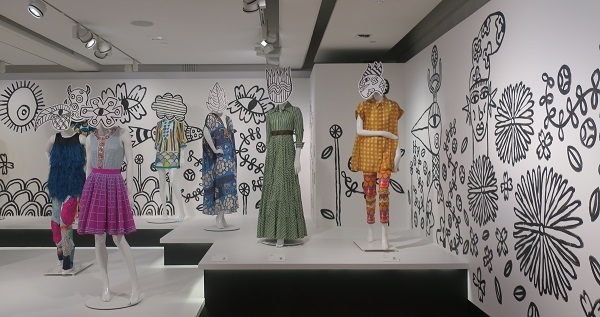 MoB Director Renai Grace said that the Museum had been preparing for the exhibition since receiving the collection in 2017, "Pamela Easton and Lydia Pearson were the storytellers of Australian fashion. Their unique approach referenced art, travel, film, literature and music to create a bold aesthetic characterised by daring patterns, innovative materials, meticulous techniques and a sustainable ethos," Renai said. 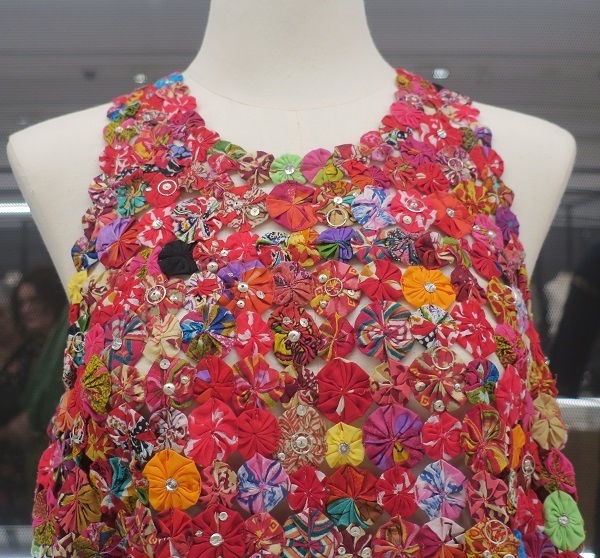 Their designs remain cutting-edge, even today, due to Easton Pearson's experimental, demi-couture processes and their passion for creating bespoke textiles, prints and ornate embellishments as diverse as champagne bottle tops, raffia, silver thread, sequins, copper chain, felt, feathers and a vast variety of beads. "Due to the richness of the resources we have in the Archive, this exhibition is a deep-dive into their processes and approach. It will allow visitors to truly appreciate the intersection of art, fashion and culture and the techniques, some thousands of years old, that were adapted and explored by Easton Pearson. 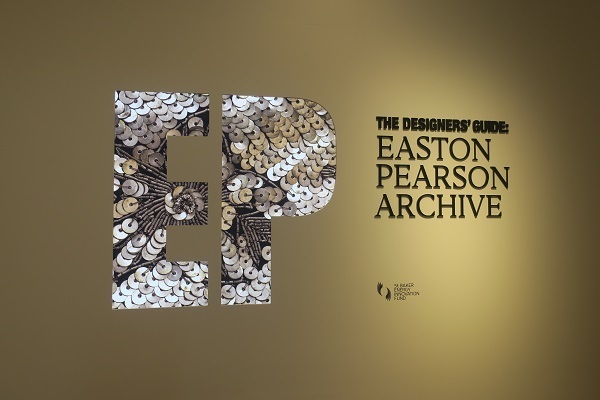 "The Designers' Guide: Easton Pearson Archive will be an inspiring experience for all lovers of fashion and an eye-opening one for those wanting to know more about the role of fashion in art, craft, design and culture," she said. Ticket prices are $12 for adults, $9 for concession holders and children under 12 are free. Book at MoB. The work of Easton and Pearson and other Brisbane's artists and designers can be found at the MoB Shop. It stocks a beautiful range of jewellery, accessories, homewares, objets d'art, books, and gourmet food. I bought the stunning coffee table book The Designers' Guide: Easton Pearson Archive that accompanies the exhibition, for $49.95.